The Place of Praise > Blog > Blog > HE WILL FLEE! !! “Dora the Explorer” is one of my favourite children’s animated series. While watching the program the other day I learnt certain things. Here goes! For those of you who are not familiar with this particular cartoon series, it is about a young girl, Dora and her monkey friend, Boots, who go on adventures with the help of items in Dora’s backpack. They go solving puzzles or mysteries which Dora faces in each episode. There is however one particular animated character in this series that stands out, it is the antagonist, a fox, called “swiper”. Interestingly another name for antagonist is “adversary”. His aim is always to try and steal or take away something that is meant to help Dora and her friends in their puzzle solving adventure. Please recall that we have been warned about another adversary. “Be sober, be vigilant; because your adversary the devil, as a roaring lion, walketh about, seeking whom he may devour.” 1 Peter 5: 8 KJV and also that he came to steal, kill and destroy. So the Fox “swiper” is portrayed as a villain, the really bad guy and only one thing deters him from carrying out his evil agenda. The spoken word! Yes, you heard right. The Spoken word! 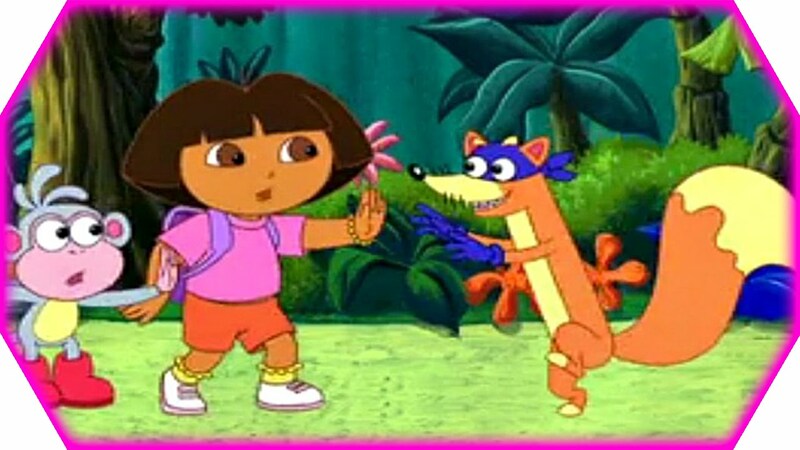 When ever swiper tries to swipe or steal something away from Dora, she and Boots the monkey start chanting “swiper, no swiping!” Yet swiper keeps advancing towards them. They chant this three times and on the third chant, swiper responds “Oooh man! ” And seeing that he is defeated he slides away to await the next opportunity to pounce on Dora and her friends. My first observation is that whenever they start chanting swiper keeps advancing. He does not retreat until after the third chant. Secondly they chant directly at him and the fact that he keeps advancing towards them does not intimidate them. This is what you must know. We can very well resist the devil and he will eventually leave us alone. But the devil can never resist the word of God. For this reason therefore, I urge us to be armed with the word of God at all times. There is always a word to, speak out to the devil every time he comes cunningly to deceive us. That word is in our bibles and will only come to our recollection if we have taken time to study it. It can never be over emphasized that we must study the word of God. So what ever the word you need to use to tell the enemy to back off right now feel free to chant it, sing it, speak it, yell it at him whatever; but make sure you open your mouth and let the words be said out loud to the hearing of the adversary until he leaves you well alone. The devil can never resist the word of God. He will flee! 35, Kingsway Road, Ikoyi, Lagos, Nigeria.